Beth is coerced into a reconciliation with her noble cousins in order to marry well and escape her brutal brother. She is then thrown into the glittering social whirl of Georgian high society and struggles to conform. 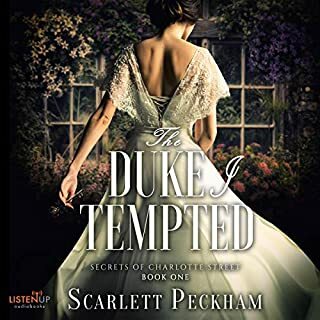 The effeminate but witty socialite Sir Anthony Peters offers to ease her passage into society, and she is soon besieged by suitors eager to get their hands on her considerable dowry. Beth, however, wants love and passion for herself and to break free from the artificial life she is growing to hate. She finds herself plunged into a world where nothing is as it seems and everyone hides behind a mask. Can she trust the people professing to care for her? 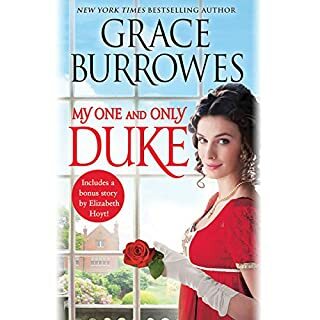 First, this book is more historical fiction than historical romance, which in no way took away from my enjoyment of this well written, well researched, and exceedingly interesting story. This is Book 1 in the five-volume series The Jacobite Chronicles. At the time of this review, this is the only volume available on Audible. The dual narration by Rosalyn Landor and Will M. Watt is outstanding and is certainly the best, most original dual narration (that I have yet to hear). Ms. Landor voices ALL the female characters, and Mr. Watt performs ALL the male characters. They are individually, as well as jointly, superb. The narrators intermittently take turns as the general storyteller and the switching is done seamlessly. The audio editor(s) and these narrators should all each win an Audie for this work. The story centers around the Jacobite uprising, starting (in this story) in 1741. The main character, Elizabeth "Beth" Cunningham, a cash-poor, country-bred, orphaned heiress, with political leanings to the James Stuart. 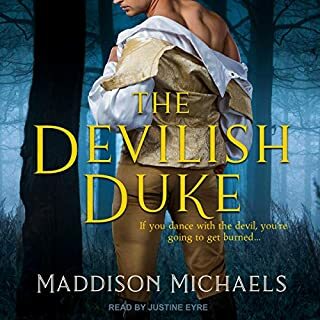 Beth is pushed into London society (in hopes of making brilliant match) by her older, sadistic*, ruthless stepbrother, Richard, a sergeant in the Dragoons, and their cousin Edward, a staid misogynist. Both seek to use Beth as a means to increase political influence and power. Beth is supported by a varied group of loyal servants as well as her uninteresting, but basically kind older female cousins. The story takes place early on near Manchester, and later in London. Sir Anthony Peters, a foppish, rich, influential personality becomes more and more central to the story. Parallel to the London society aspects of the story, is the group of rebels hoping to bring James Stuart (or his son, Bonny Prince Charlie) back to the throne of England, Scotland, and Ireland, held at the time by George II. The rebel group centers around Alex MacGregor, his brothers, and other clansmen, whom Beth unknowingly meets in Manchester. A smart reader will figure out the specific connection early, but it doesn’t take away from the excellence of the story. This was *very* entertaining and I really hope the other volumes are released on Audible soon. *Note: there is some brutality and a sexual assault in the book which were hard to listen to, nevertheless, I will listen to this book again (although I may speed up considerably through those parts). This book is great on so many levels. It's an accurate representation of the period for which it was written, based on very well researched archives in Scottish and English history. It's an exciting fictional story with interesting and well developed characters. It's a well crafted book in a world of so much less than literary work that has been a constant for the past few decades. And now we have the audio version. I'm blown away by the quality. As an avid consumer of audiobooks, I would say this is the best of the best. It's difficult enough for one reader to craft a good audio experience, but to have a male and female representation and to do it so flawlessly is such a treat. It's really, really good. I can't wait for the entire series on audible! Because Rosalyn Landor was the narrator of Mask of Duplicity I took a chance on this book by an author I did not know. So glad I did because I enjoyed it greatly, especially the character of Sir Anthony and his story. The heroine, Beth, was suitably strong minded and outspoken yet compassionate. Be prepared for the ending to be a happy cliffhanger. If you enjoy books by Joanna Bourne, Lucinda Brandt, or Stella Riley, you will very likely enjoy this author as well. 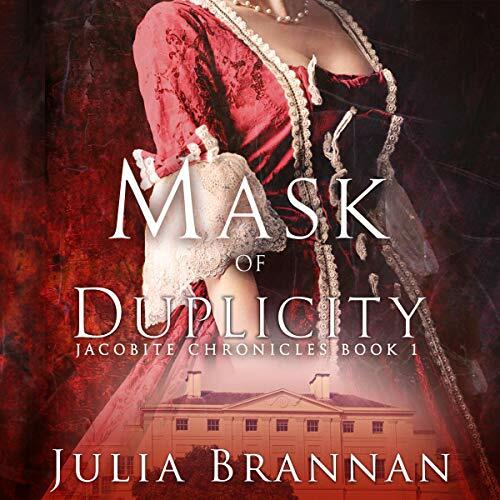 I loved reading the kindle version of Mask of Duplicity so when I heard about this audiobook version I couldn’t wait to listen to it. I had never before listened to an audiobook with the male and female characters performed by two different readers. That method added so much to this particular story. I highly recommend both the novel and the audiobook to anyone who is interested in the Jacobite historic era. I am already anticipating the audiobook version of the entire series. Immersed instantly ! Loved it! This is a web of intrigue and historical fiction that will suit the guys and the gals ! The characters are taking you on a journey into meticulously researched factual history . This is a fantastic audible ! Can’t wait for the next ! I seldom write comments with my reviews. However, everything was great about this book, dual narration and story, but what a way to end it! I wasn't expecting the story to just drop off like it did. I can only assume, Book 2 will expand on the story between Beth and Alex and will be very disappointed if it doesn't. 5 stars to Rosalyn and Will!! This is a very good Historic Novel but not a Romance Novel. Woman's issues of the times was very enlightening. This needs a sequence or an epilogue to be acceptable to the reader. I was ONLY disappointed at the end. I want more of the story and wish the whole series was all here to listen to. It’s a good story so far, not thrilled by the cliff hanger. Now I know why there are so many characters. The story goes on. I loved every word of this audiobook. From the dual narration to the awesome writing and story. Can't wait for the next... oh please say there will be a next!! The sooner the better! Loved it! A cracking good story. Wonderful to listen to. I hope more of Julia's books are made into audiobooks. Great story with vibrant and dynamic characters and performed so very well by Rosalyn Landor and Will M. Watt. Excellent! Would like to hear the rest now, please. A brilliant rendition of one of my favourite books of all time. This audio book has brought the characters of “The Mask of Duplicity” to life. I thoroughly recommend Julia’s “Jacobite Chronicles” to all readers who enjoy historical romance with accurate elements of history tied in with characters brought to life with the penmanship of a wonderful writer. I cannot wait for the next in series to come out as an audio book. I have waiting for this book to be released in audiobook, and thrilled to say it has been well worth the wait. Rosslyn and Will, have done a brilliant job of bringing Julia’s wonderful story and characters spectacularly to life. I highly recommend it to those who are already fans of Julia’s books and for all those yet to discover this brilliant work of historical fiction, that tells the history of the 45 Jacobite Rising through the wonderful characters of Alex, Beth and co. I for one will listen to it many times and look forward to the release of the rest of these books in this fabulous series.